There are generally two types of post-apocalypse movies: the ones where some context is given for humanity’s predicament (nuclear bomb, disease, zombies, what have you) and the ones that just drop down in some dusty world, push off with two hands and yell good luck. In David Michôd‘s The Rover we are given the words “Ten Years After the Collapse”, we see the Australian outback landscape, the haunted eyes of Guy Pearce, and we brace for good luck. There is one thing that all post-apocalypse movies have in common: they become elemental struggles of hope and despair, life and death. 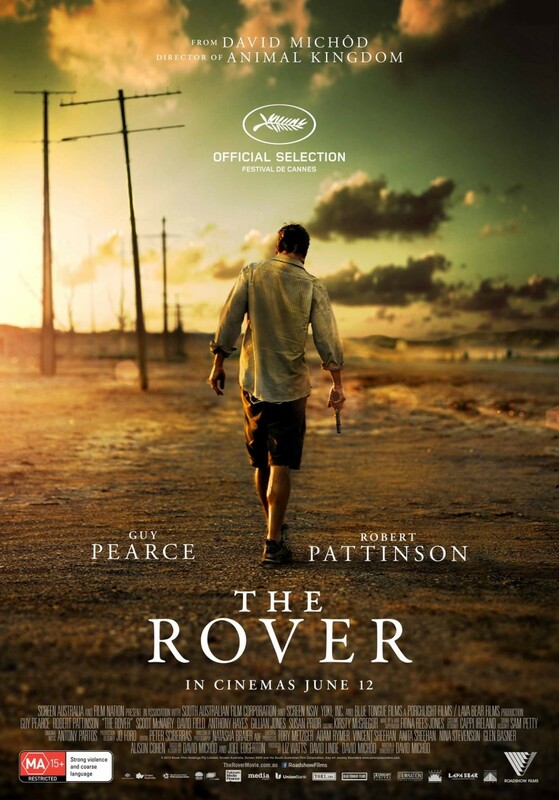 Maybe that’s not a particularly profound notion, but a film like The Rover makes it abundantly clear from the outset that it is both resolutely concerned with small actions, while being totally dismissive of almost any grander narrative. There is no quest here to cure, to save, to heal. This “Collapse” is final despite evidence in the margins – a rudimentary economy, a vague military presence – that suggests all is not lost. For Pearce’s Eric (a name I don’t remember being spoken aloud in the film), it may as well all be gone. He’s got a car, the clothes on his back, and a forlorn look that bores into the horizon. It feels as though the last ten years have not been particularly kind to him, and that’s just from watching him stare into his glass. Then some guys steal his car. The man can’t even catch a break during the end of days. Surprisingly, given Eric’s relative drift, he doggedly goes after these guys to recover his stolen vehicle. An exhaustive plot this one is not, and yet, the question hangs heavily over the opening stop-and-start car chase: Why? We have some idea why the men steal the car. They’re on the run. Old man Archie (David Field) drives, Caleb (Tawanda Manyimo) sits in back, and Henry (Scoot McNairy, everywhere!) rides shotgun. Henry is wounded and the agitation in the gangs’ voices offers some explanation as to their current speed. Henry wants to go back to get his brother, Archie wants to leave him for dead. Their truck flips, they need to escape, and, one smashed window later, they’re off again (in Eric’s car). Life post-Collapse appears difficult for everyone so far. And that’s before we meet Robert Pattinson‘s Rey, the brother, waking up across from a soldier bleeding out into the sand. From Pattinson’s mumbly, flinching portrayal, we gather Rey is something of a simpleton. This is a complicated line to toe along but Pattinson manages to humanize a figure who comes to us as a walking spasm with a Forrest Gump haircut. It is made clear that Rey has been the ward of his brother Henry for some time, that he’s not quite cut out for a hard-scrabble life in the Australian outback (which is harsh enough even without the post-apocalypse). Rey stumbles into the path of the outbound revenge comet that is Eric and a road trip of sorts begins, one born from mutual need. Eric needs Rey to lead him to his car, and Rey needs Eric to get him back to his brother. Early on Rey takes a page out of the Good, the Bad and the Ugly handbook, revealing the general area of where the gang is running, but not the specific place. He believes, in his goofy way, that he’s in control, that God will protect him according to some divine law. He has hope. To Eric, he of the empty eyes, there is only the road, the desert, and the gun in his hand. At the end of the world, it really is – philosophically – one or the other. He’d just really like to take a look at his teeth. And so, after some fits and starts, the chase begins in earnest and Michôd gets to flex his directorial muscles. His debut film Animal Kingdom, which also featured Pearce, is a who’s who of Australian actors. 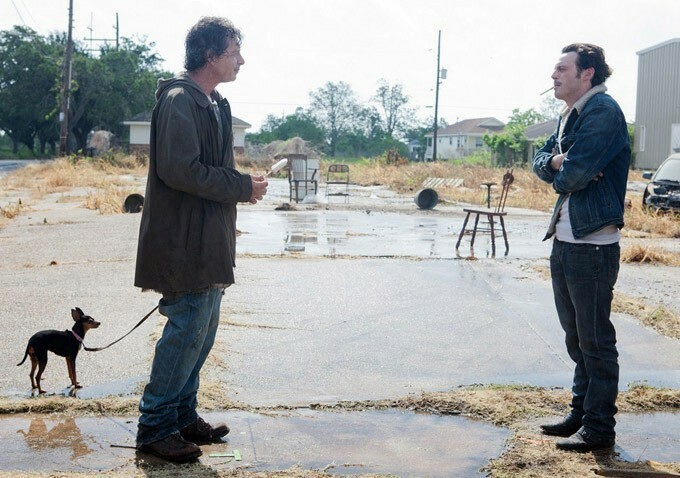 There’s Joel Edgerton (who cowrote The Rover with Michôd), Ben Mendelsohn (who, interestingly enough, has acted with McNairy before) and Jackie Weaver (in a role that garnered an Oscar nomination). The film tells a sprawling drama centred on one criminal family in Melbourne and the lineage of that illegality. If that film proved anything it’s that Michôd has a weightlifter’s worth of bulging directorial muscles. With The Rover he wisely chooses instead to keep it lean. Where Animal Kingdom felt expansive and nuanced, The Rover is inward and mean. There is grisly violence but most of it feels wanton, random and nearly accidental. Michôd alternates his scenes between moodily scored breathtaking landscapes, abrupt attacks on the viewer’s senses, and gun fights that are flat, bloody and rake across the eyes and ears. Why is any of this done? The reasons remain closely guarded until the final frame of the film. Yet, despite a thin beginning, I could not help but be enlisted in a desire to find answers. I rode along with the hollowed out faces of Michod’s actors desperately grabbing for what’s left, I took in the outback and desolate wilderness. What is it with Australians and post-Armageddon? Forget it. A new question emerges: What is the cost of taking a human life? In truth, the fulcrum of the The Rover is Pearce. Along with actors like Sam Rockwell and fellow Australian Eric Bana, Pearce has long held a brilliant middle ground in film. He can be leading man or character actor, funny or serious. He’s been in bombs and masterpieces. His performance here is singular, tilting the film back and forth. His Eric is almost maniacally (and comically) driven. He wants his car back. That’s it. Along the way he encounters strange madames, and tussles with members of a former travelling circus. He forcefully illuminates the real ways of the world to Rey. He regards a room full of dogs, caged because they may become food if left in the wild. And then, in one stirring scene while imprisoned himself, Eric explains how his world view came to be shaped, how he cycled through hope and despair, life and death. Nihilism can come even before the world has collapsed. 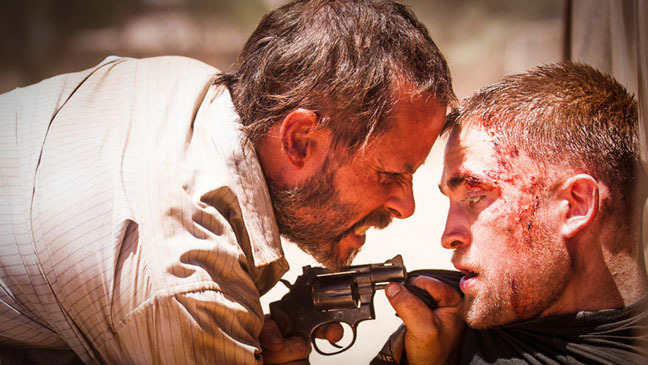 The Rover is the kind of film where everyone meets their end in some way or another except the one guy looking for his.